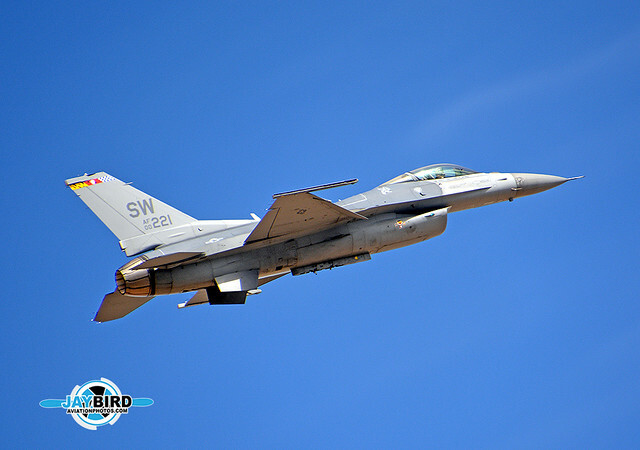 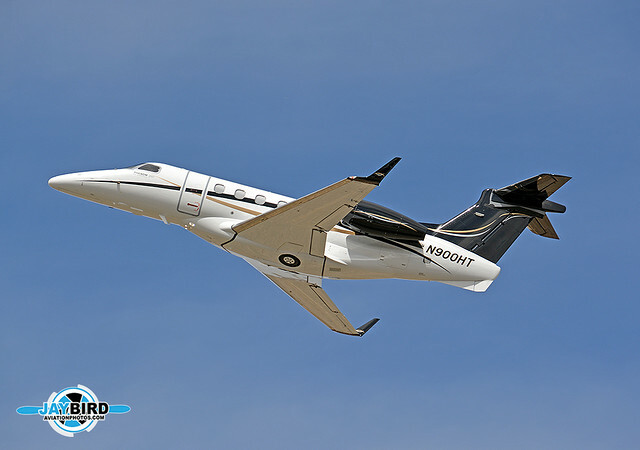 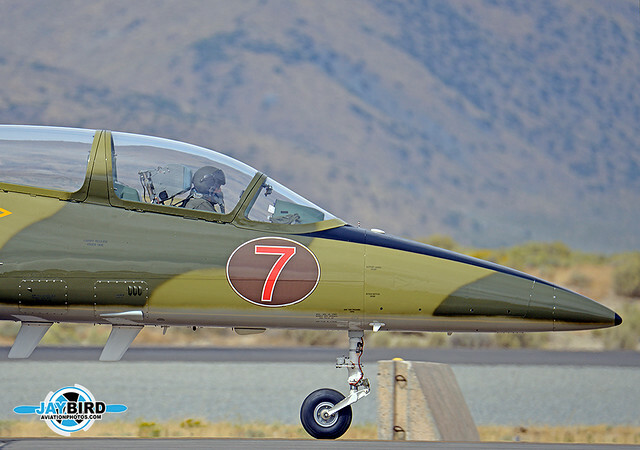 I was particularly interested in the Jet category, since I know several of the pilots. 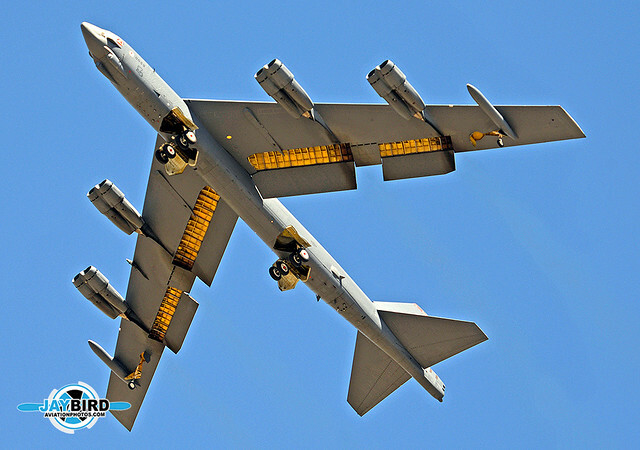 “The Devil’s Own,” the 96th Bomb Squadron “Red Devils” CO’s B-52H (60-059), makes a low “gear down” pass on Thursday. 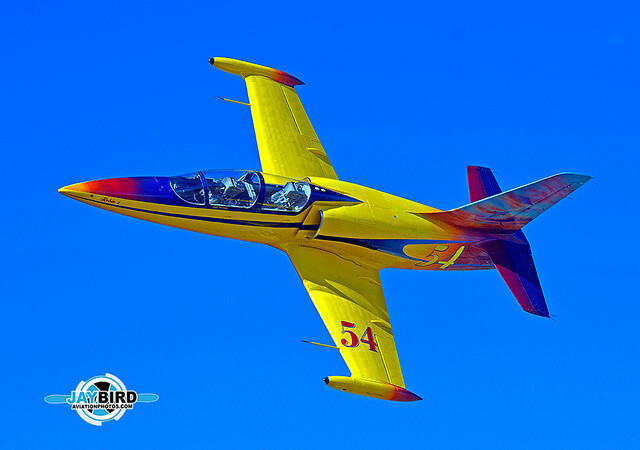 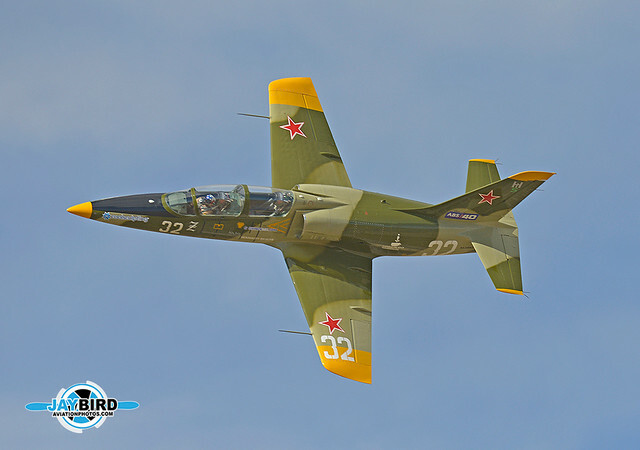 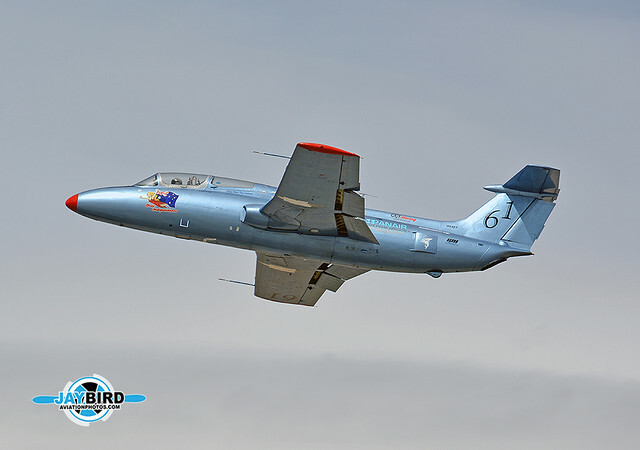 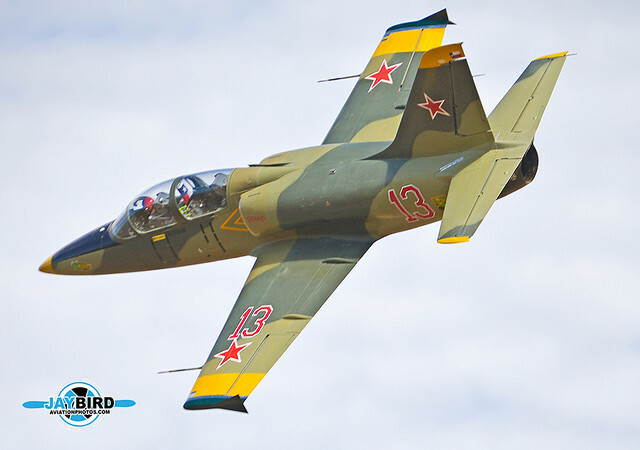 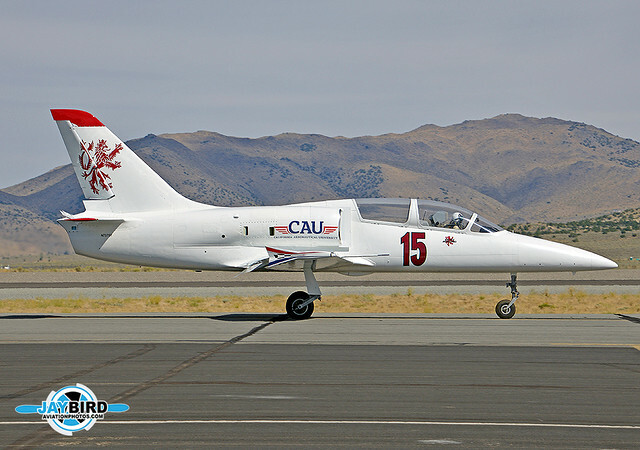 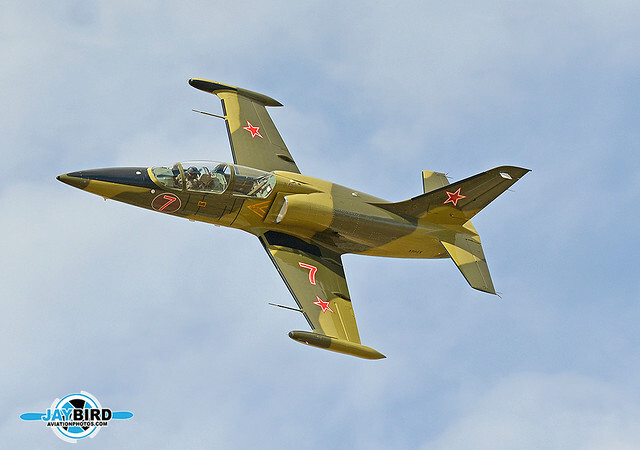 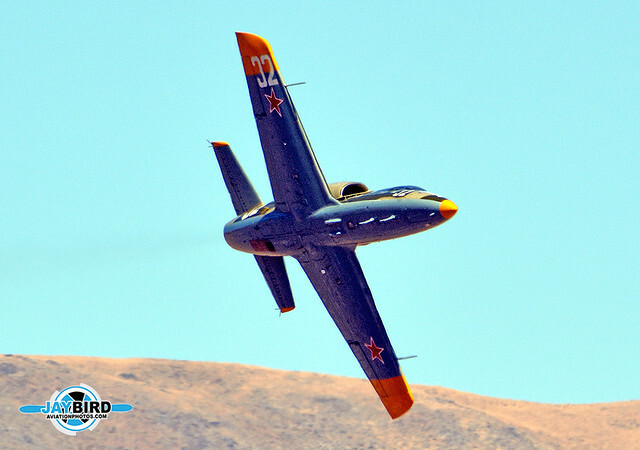 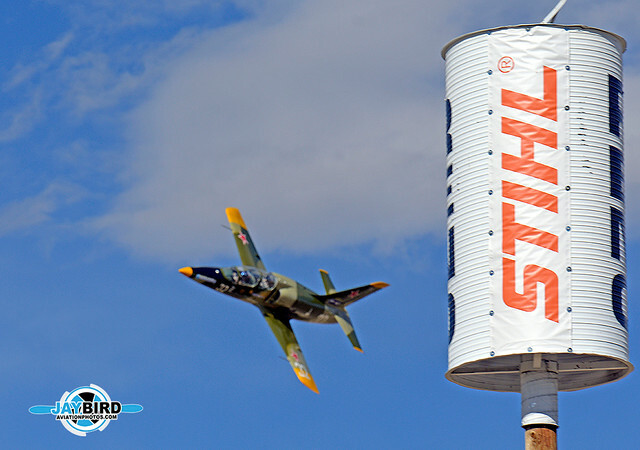 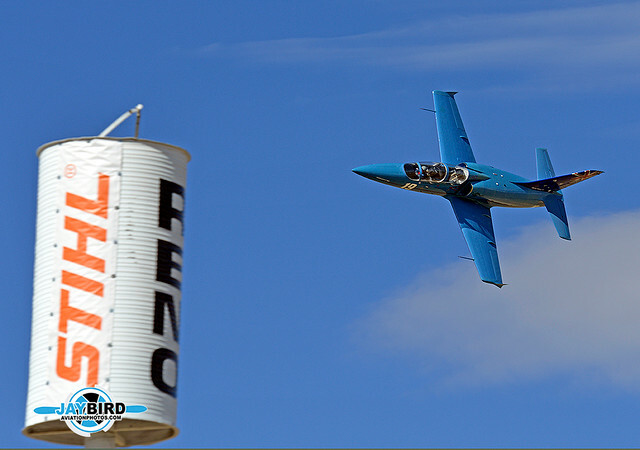 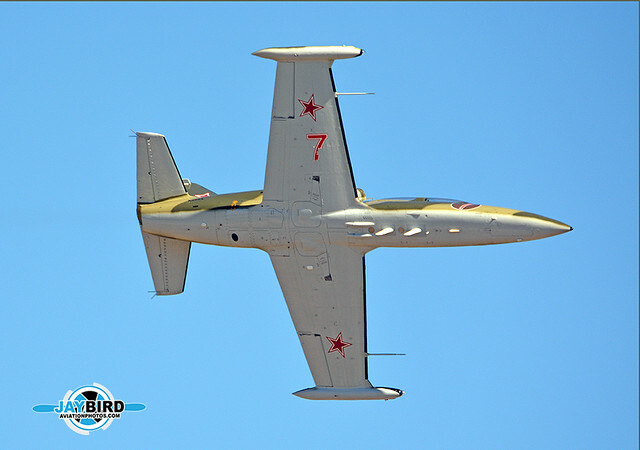 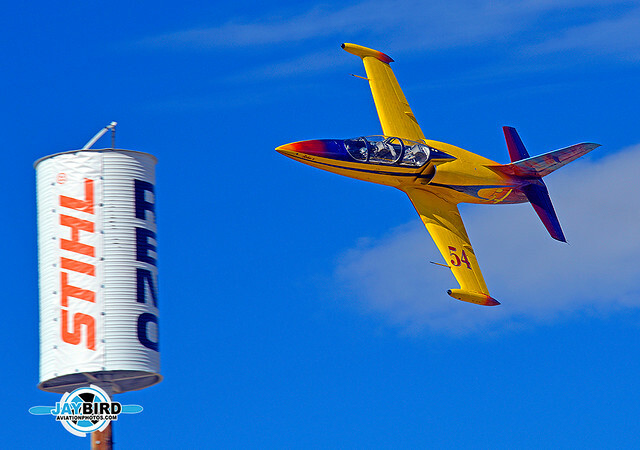 Nathan Harnagel rounds the turn in his L-39C, “Reality Czech”, N139UK. 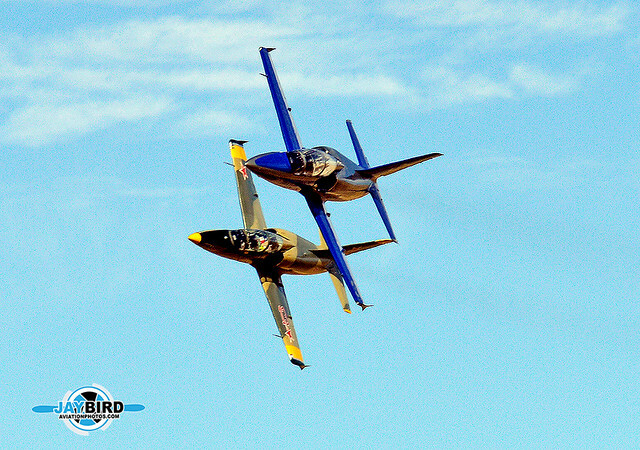 Nathan Harnagel and Alexandre Eckmann came very close to trading paint is this photo. 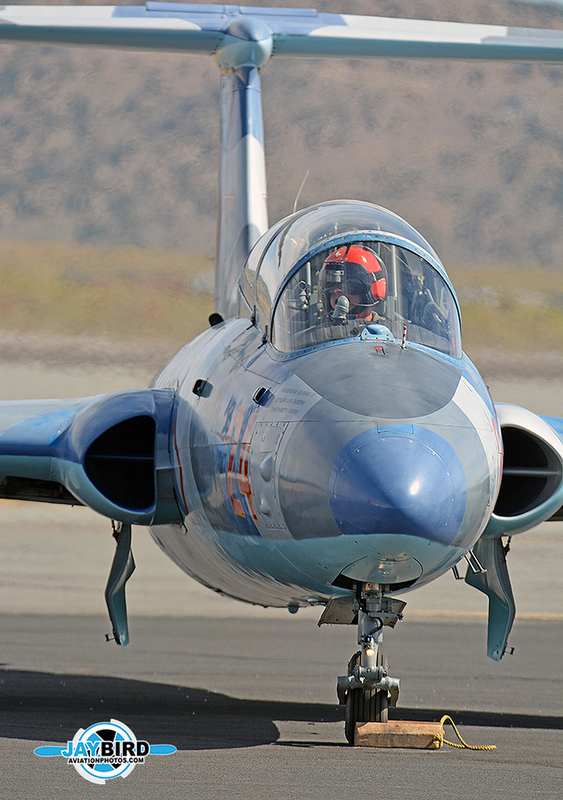 Half a lap later, they did. 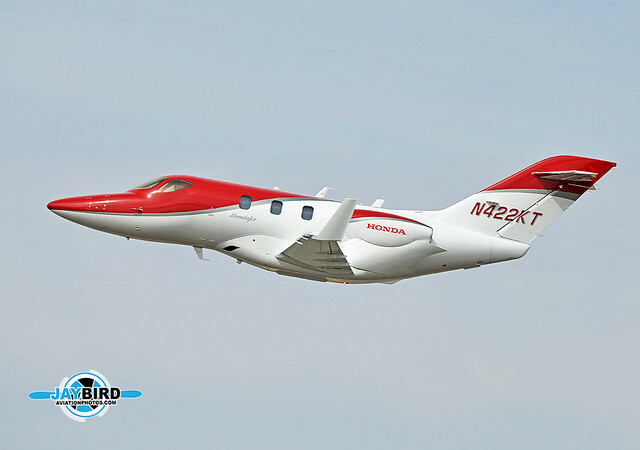 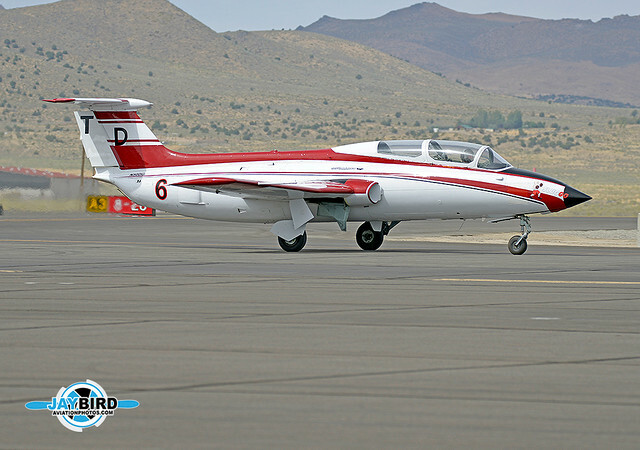 While both planes were damaged, both pilots managed to land safely. 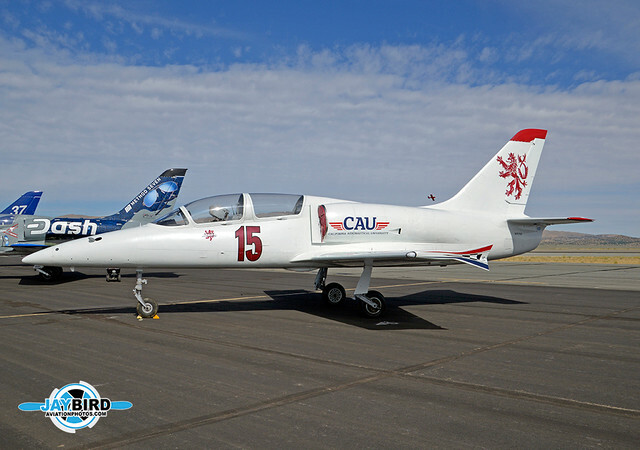 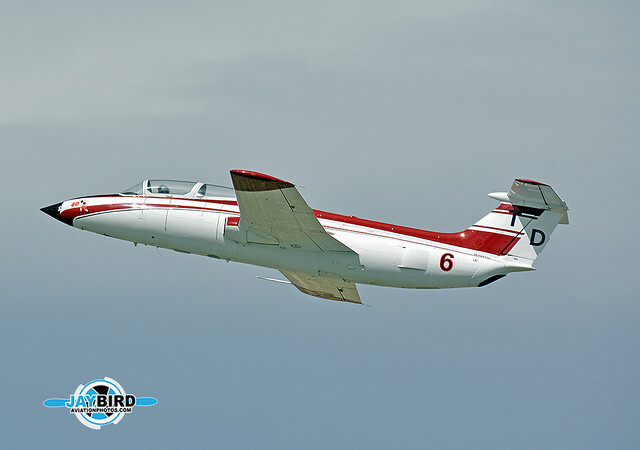 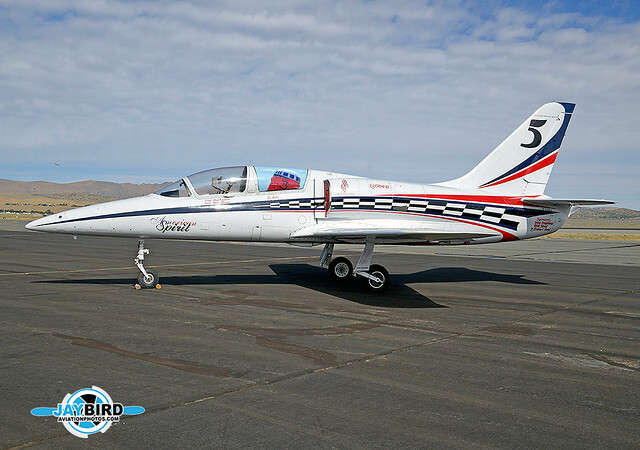 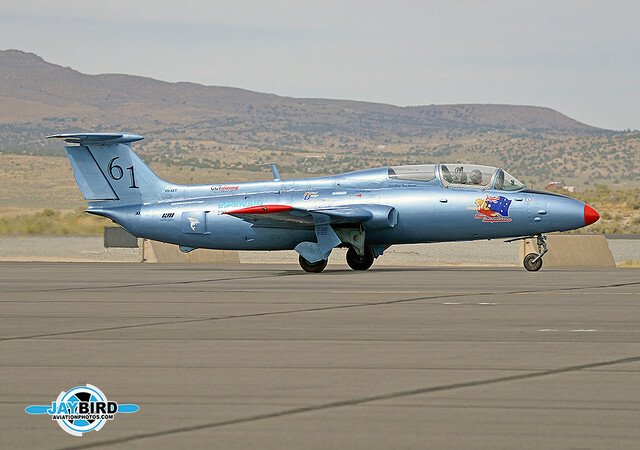 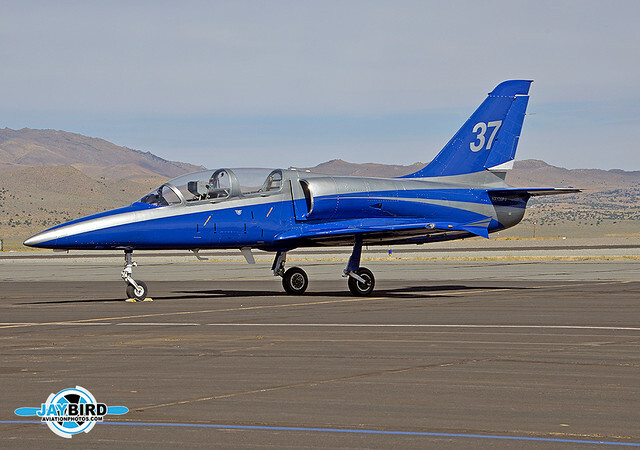 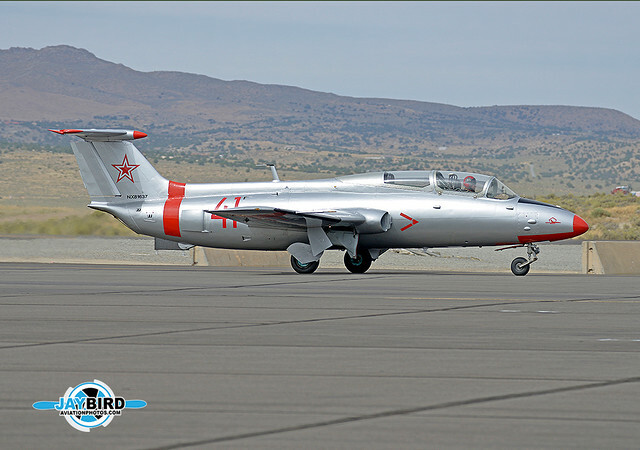 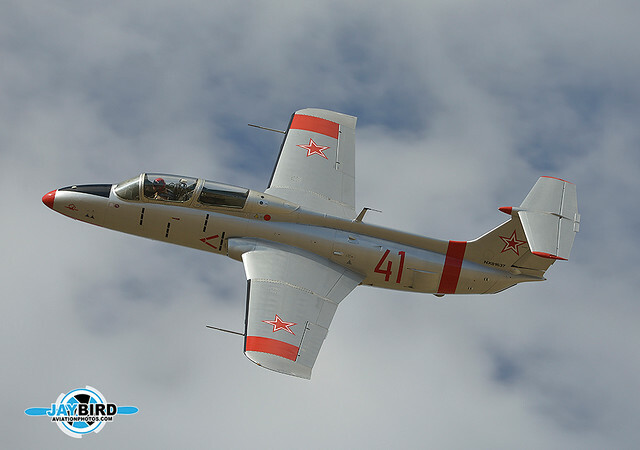 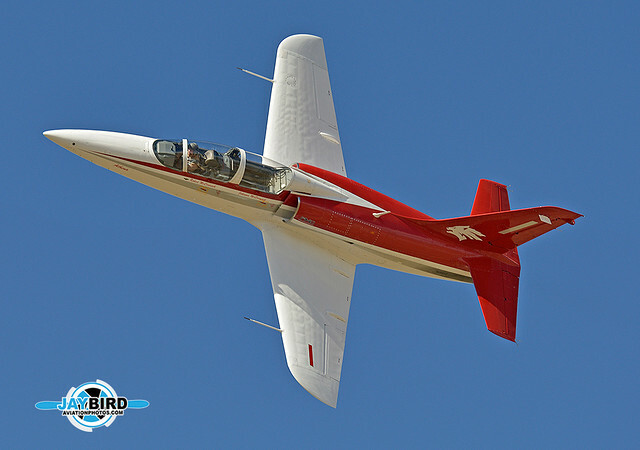 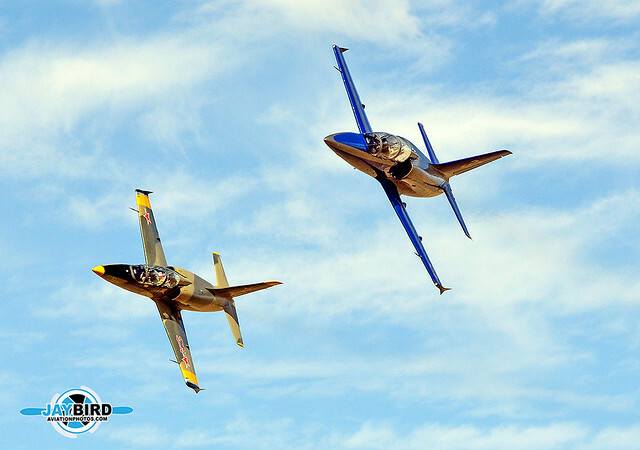 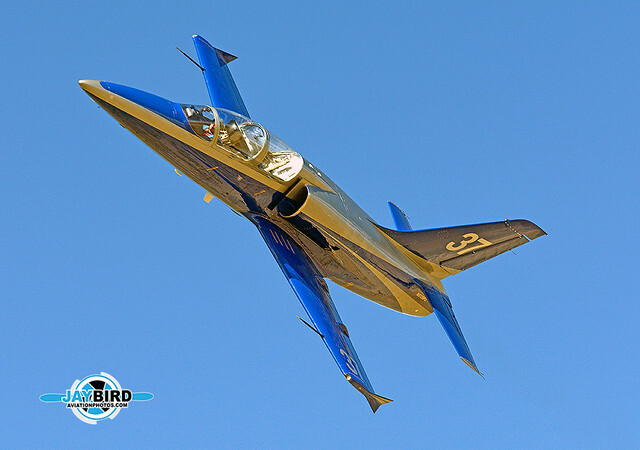 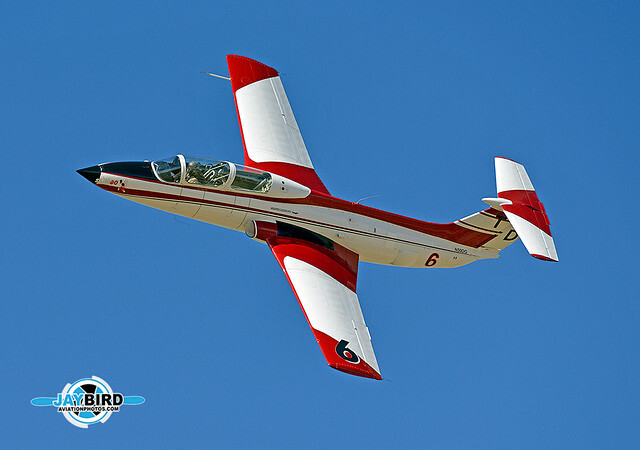 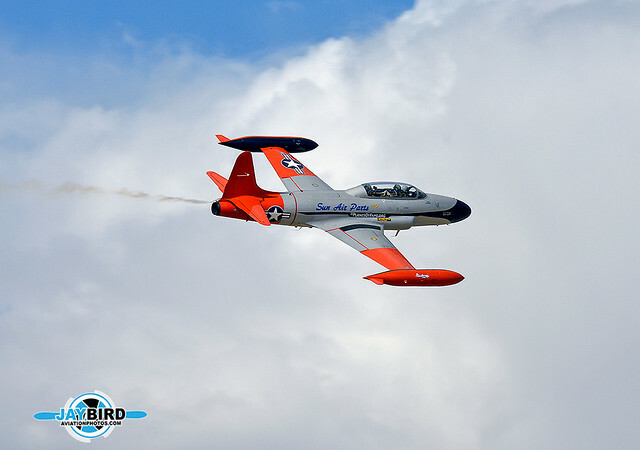 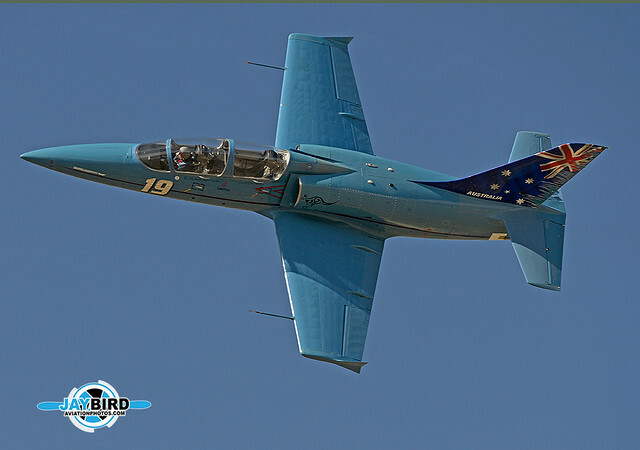 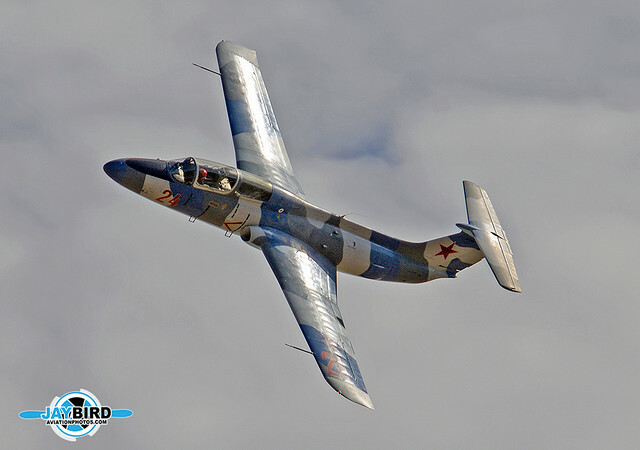 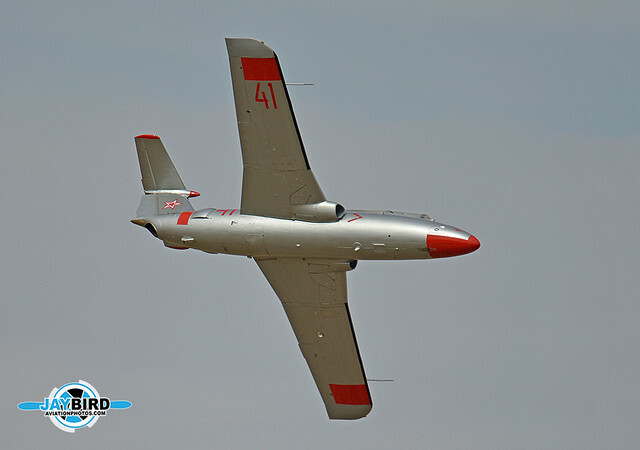 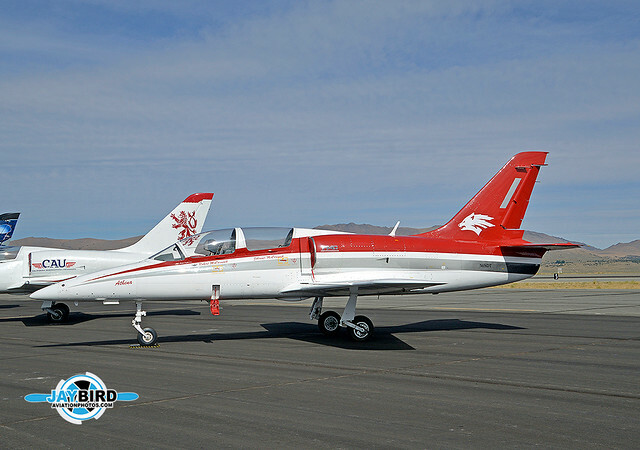 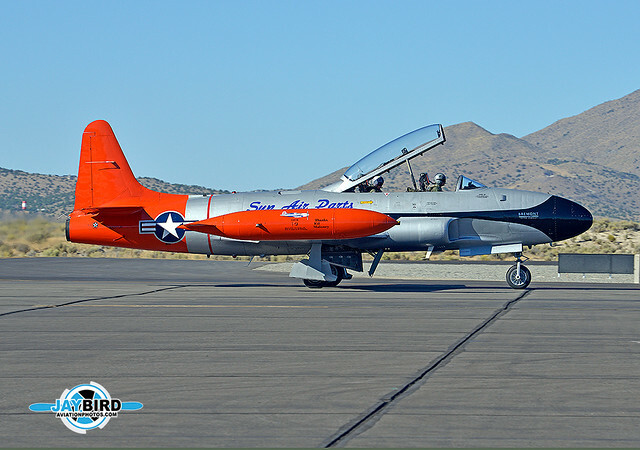 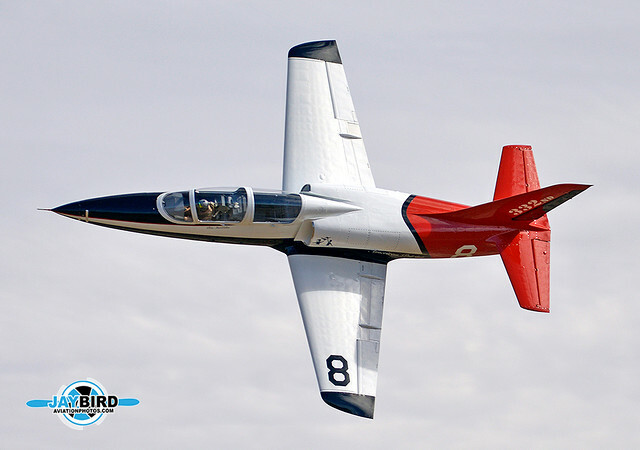 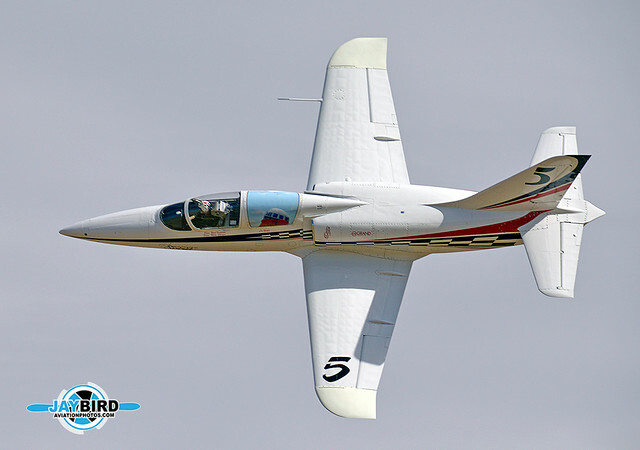 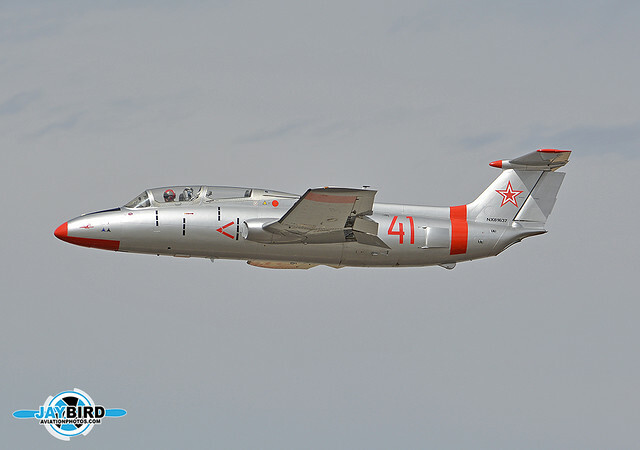 “Sluggo”, N50DG, is an L-29 flown by Joe Gano. 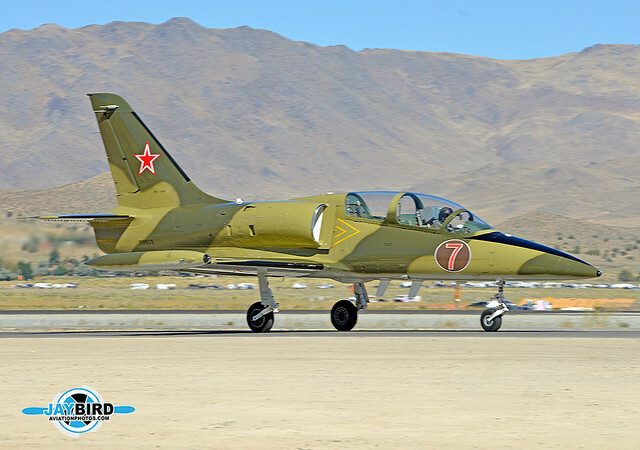 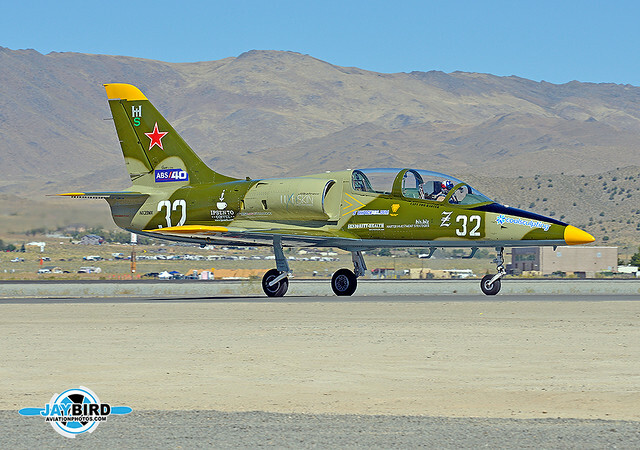 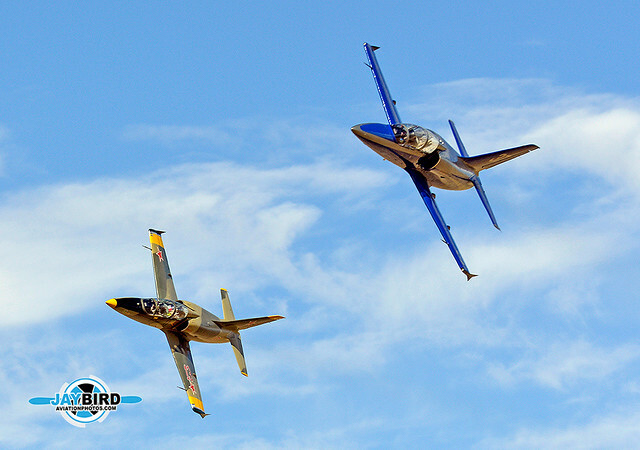 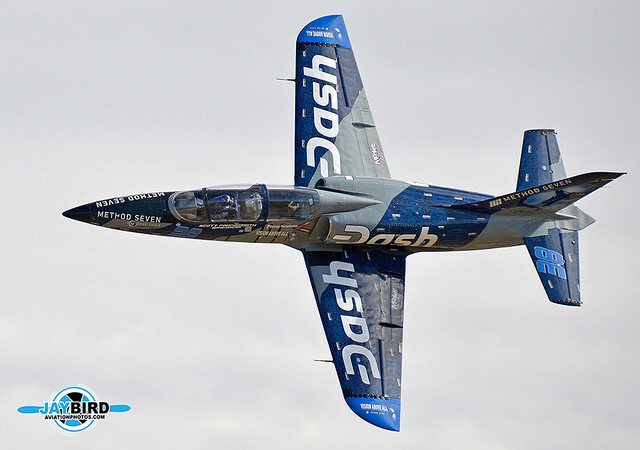 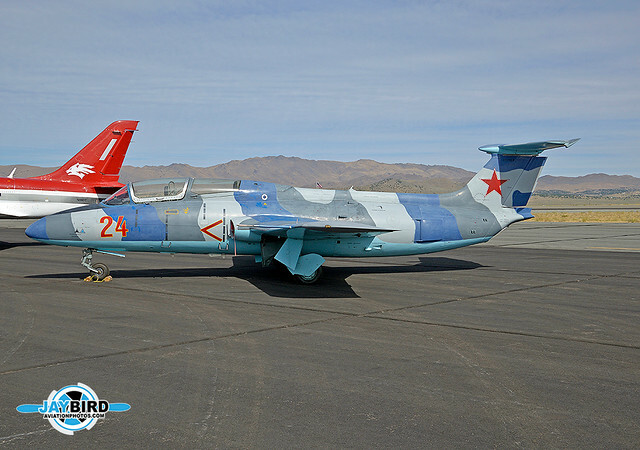 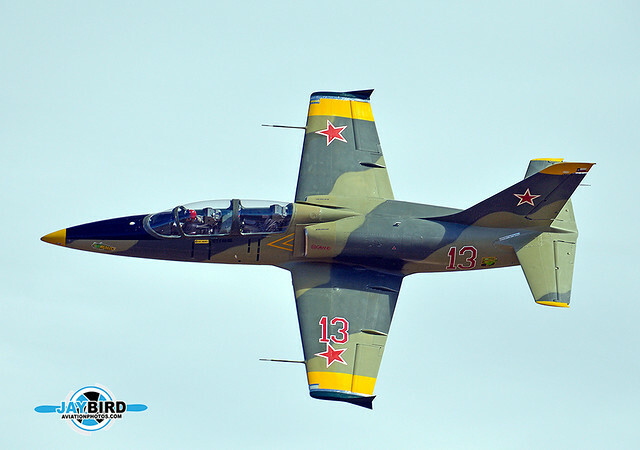 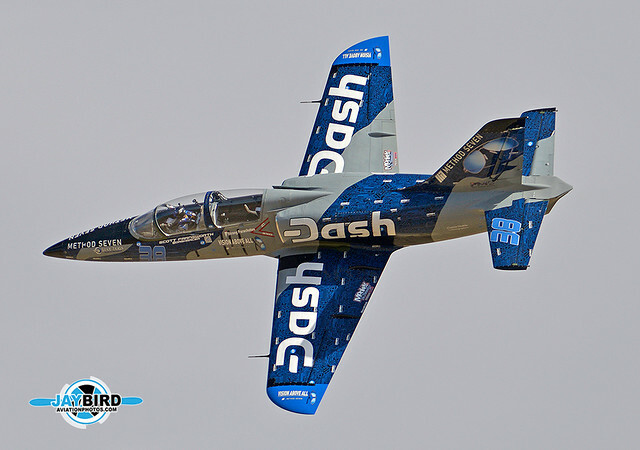 “Dash Force One” was probably the most easily identifiable L-39C on the field. 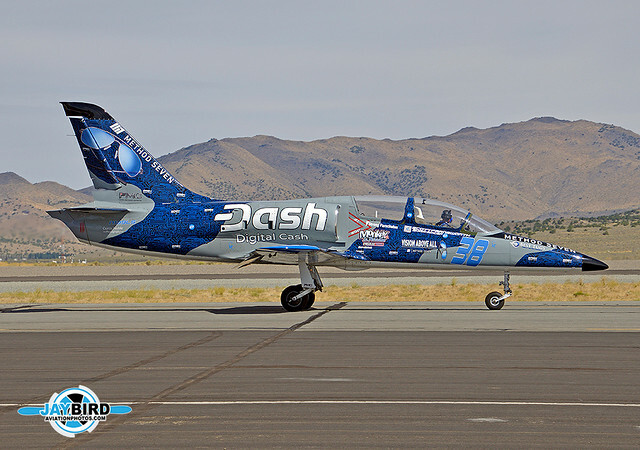 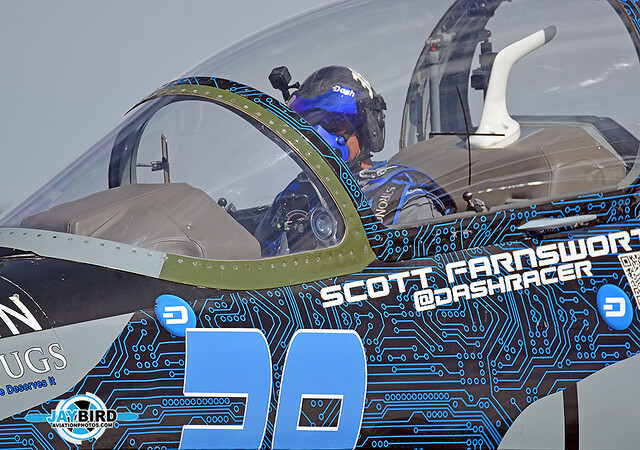 N139LS was flown by Scott Farnsworth.